It’s time to put away the heavy fabrics and dark accessories and bring out the lighter and brighter looks for spring. Here are some easy spring updates guaranteed to get rid of your winter blahs. Spring is a time of rebirth and renewal in the outdoors, so have your interior mimic the same thing. Put away some of the dark colors that felt so cozy in the winter and replace them with fresher, brighter colors. 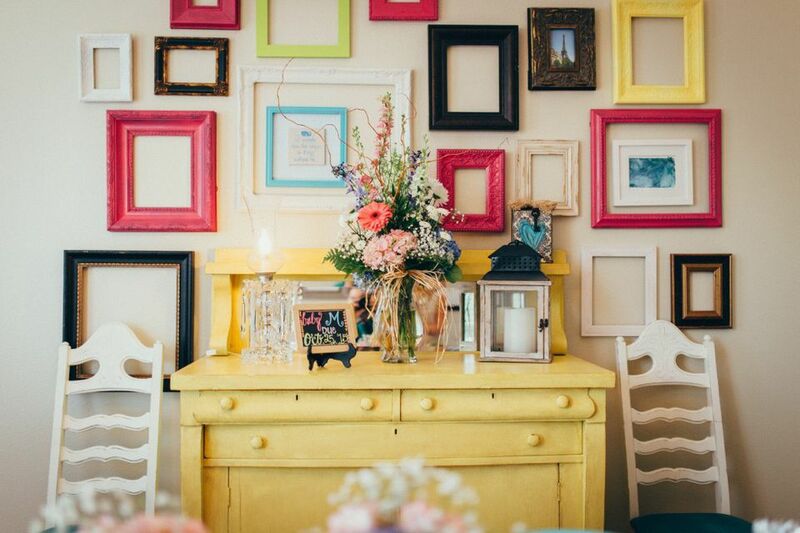 Replace browns, blacks, and deep jewel tones with pastels and even bright primary colors where possible. There are a lot of easy ways to add color to a room. Use flowers to brighten up plain surfaces and rooms. They don't have to be any specific variety or color – flowers always brighten up a space, no matter what kind you use. You also don’t need a lot of them. A small floral arrangement on a table, mantle or windowsill makes a big difference. What’s particularly great about flowers is that every color and combination works together, so it’s a great way to experiment with colors you wouldn’t normally put together. Put away the heavy throws or accent pillows you brought out for the winter months. Wool, faux fur, cable knit, and other wintry fabrics should be stored away for the warm months. Replace them with light fabrics in bright colors and fun spring patterns. This goes for things like throw pillows, window treatments, and even furniture slipcovers. A simple but very effective way to make a spring update is to change the lampshades on table lamps, floor lamps, and even sconces and chandeliers. Lampshades come in all colors, patterns, and sizes so it’s not hard to find something fun that will work with your space. And if you do run into trouble you can always go the custom route (it’s more expensive but you’ll be able to get exactly what you want). Alternatively if you want a really subtle change you can add some ribbon around the perimeter of the bottom and/or top of the shade for a nice, colorful detail. It can be done in a few minutes using double-sided fabric tape. If you've got a weekend to spare consider repainting a room in a lighter color. It can be a completely new color or just a lighter shade of your current color. The difference can really be astounding and if you decide you don't like it you can always change it back. Window treatments have a big impact, so in the spring replace your heavy draperies with light and colorful curtains and shades. Ready-made curtain panels can be purchased for very little money so it doesn't have to be a costly change. Of course if you want something really specific it’s usually worth it to have custom window treatments made. In the spring and summer months less is more, so put away some of your accessories and de-clutter. Lighten your bookshelves and pare down your coffee table and fireplace mantel. Try replacing some of your heavier accessories (such as dark wood boxes and brass candlesticks) with glass vases and lightly colored items. If you decorate with candles, replace dark ones with white or ivory candles. Bring in some wicker or sea grass accessories such as boxes and storage baskets. Change the hardware on furniture, cabinets, doors, light fixtures, switch plates and even the window hardware. Hardware is like jewelry for a room and changing it can change the tone completely.